Does not support NVIDIA GeForce 3D Vision which came with the original Games for Windows - Live version. You can import your old saves and achievement data from the Games for Windows - Live version. To ensure smooth transfer, please set the Steam client and game in-game language to the language that was originally used in the GFWL version..
Multiplayer is done through online matching, so split-screen play is not supported. 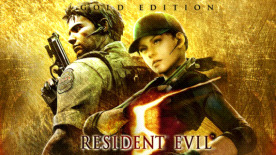 Russian, Polish, and Czech are supported in Resident Evil 5's main game, but are not supported in this DLC. ©CAPCOM CO., LTD. 2009, 2015 ALL RIGHTS RESERVED.